Blog — What Are You Reading? Wende Ballew spends a lot of time in prison. As executive director of Reforming Arts, she helps incarcerated women gain an education and tell their stories through theater. She talks with us about how prisoners see their stories, what she reads, and how her reading life changed after her experiences in the prison system deepened. In this mashup with "Literary Atlanta," we talk with fellow podcaster Alison Law about building community around stories. Make sure to subscribe and follow Alison’s podcast, Literary Atlanta! 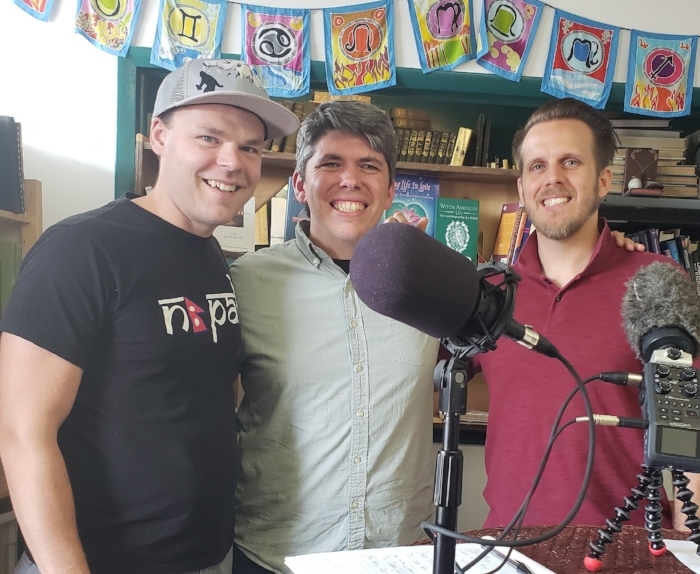 This year at the largest independent book festival in the nation, we connected with old and new friends to talk about books, community, and Aline's secret plan to take over the podcast. Phi Nguyen is a litigation director for Advancing Justice Atlanta, and she co-hosts our new favorite Facebook show, Wake Up Atlanta! She talks with us about translating legislation into story, connecting with her history and community through literature, and working for justice. As the mayor of Clarkston, Ted guides policy in the most diverse square mile in America. He talks with us about the books that led him to environmentalism and politics, and we help him decide whether or not to read "Game of Thrones." — Mark Twain, The Innocents Abroad (1869), Vol. II, Conclusion. Yehimi Cambron's artwork has become iconic in the struggle for immigrant rights in Atlanta. She talks with us about her own migration to life as a teacher, artist, and activist. Tim and Ian left the bookstore and ventured out to Urban Grind in West Midtown to hear local poets perform before a live audience. 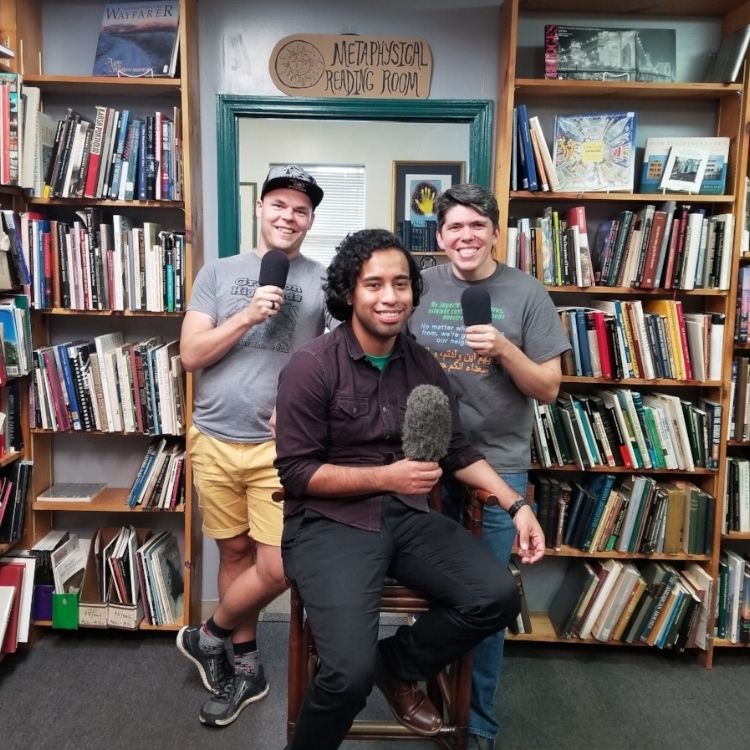 In this episode, we learn what drives them to open mics, how they hope people will connect with their work, and what slam poetry is all about. Warning - NSFW! David and George pastor churches at points of racial tension. In our most NSFW episode yet, we talk with them about Jesus, prophets, powers, principalities, and good books. At the end, George urges you to send us money. Novelist and publisher Steve McCondichie's hometown of Newnan, Georgia made national headlines when a Nazi group held a rally there and Antifa arrived to counter-protest. Steve tells us how the town responded, and we talk about the importance of honest stories about the South. Gary and Vivian Chapman capture hope and dignity in difficult places around the world through photography and storytelling. They talk with us about what drives them, listening to audiobooks, and the weird thing Gary looks for in bookstores around the world. Kaitlin B. Curtice was a Southern Baptist when she began to recognize and connect with her Potawatomi heritage. We talk with her about the writers who have helped her navigate her complex identity and what led her to write her new book, Glory Happening. In one of our favorite episodes to date, rapper, writer, and community organizer Sho Baraka talks with us about hope, activism, faith and partisan politics. Kalin Thomas is the Program Director at The Wren's Nest. She talks with us about preserving folklore and equipping a new generation to tell their stories. Before the Mayflower: A History of Black America by Lerone Bennett Jr.
Chapter 16: "What a year!" Tim and Ian recap their 2017 in books and talk about what's next for the podcast. Along the way, we discuss reading authors who aren't dead white men, political novels, and Jesus. Author Amena Brown takes us on a tour of Atlanta's poetry scene, tells us about the vulnerability of writing her new book, "How to Fix a Broken Record," and agrees with us that it's a good thing to cry sometimes. Marco left his home on Buford Highway to study political science. Now he's back in the neighborhood cultivating community as president of Los Vecinos de Buford Highway. We talk with him about the books that brought him home and what they showed him about the place. 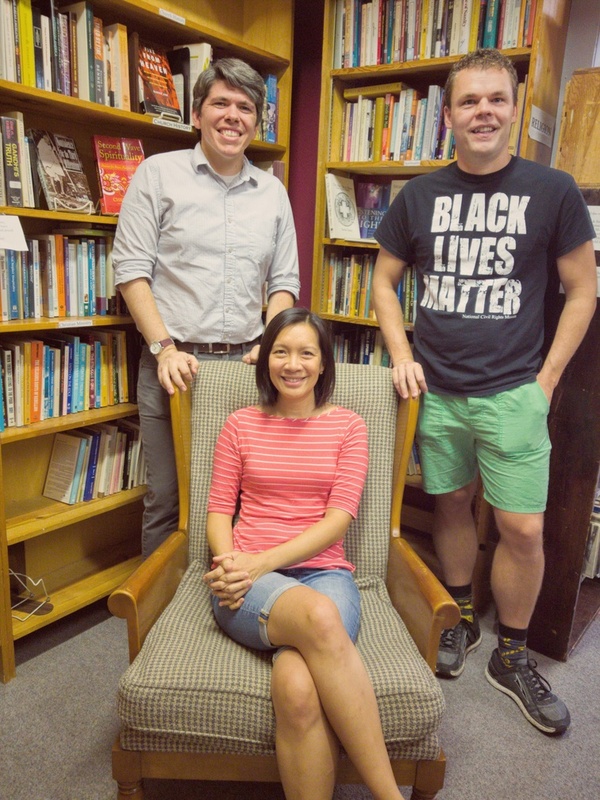 GA State House candidate Bee Nguyen is a lifetime reader. She talks with us about immigrant fiction, riding the train, how her refugee parents perceive her activism, and empathy in politics. Our friend Judy reads, works, and writes at points of racial tension. We talk with her about building bridges, Christianity, generational trauma, immigration, books, and why people need to stop being such buttholes sometimes. We talk with Tim's middle school English teacher about literature, teaching, politics, and the role of reading in rural America. Tim also gushes a few times about her impact on his young, malleable mind. 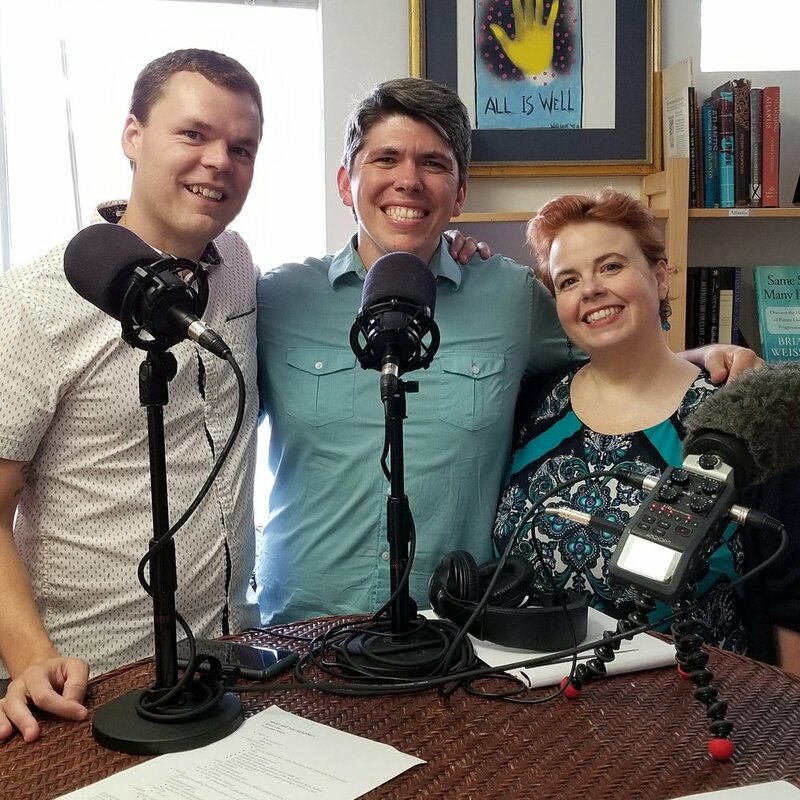 Founder of Refuge Coffee Company Kitti Murray talks with us about poetry, diversity, and where her Christian faith meets her desire for justice. We also go on and on about running.